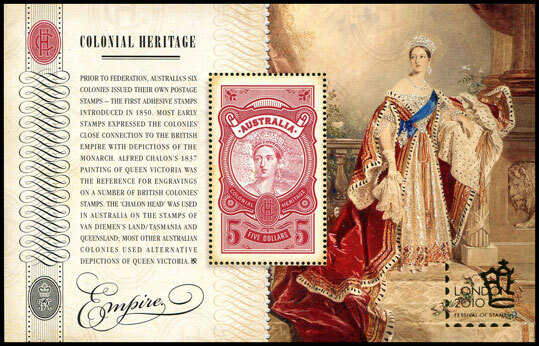 For many years Australia Post released an overprinted miniature sheet for any show they attended. 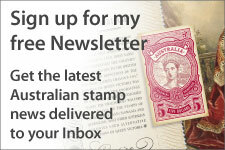 However, in recent years Australia Post has followed the lead of other countries and released special miniature sheets containing recent issues in a new arrangement. 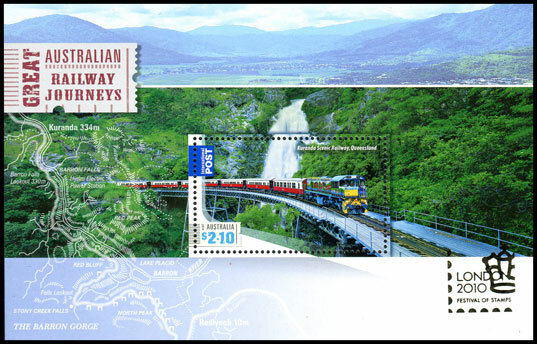 For London 2010, Australia Post has done two of each, and included some reprinted stamps for good measure! 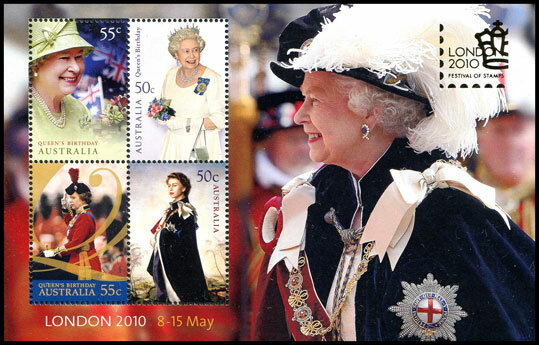 * Available from the Philatelic Bureau on 7 May, but only available in London on 8 May. 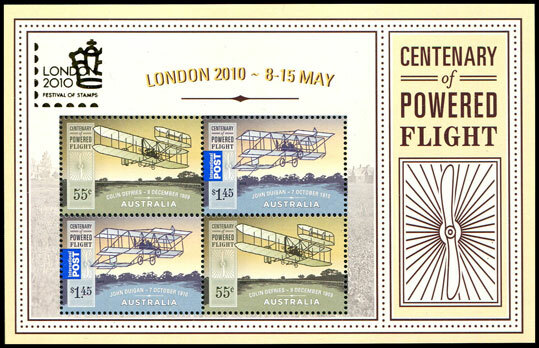 Also promoting Australia 2013, this fine miniature sheet is an apt souvenir for London 2010. Technical details are the same as the regular sheet (see the Colonial Heritage page). As with the Colonial Heritage sheet the technical details are the same as the regular sheet (see the Railway Journeys page). 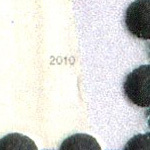 The 2007 stamp was not included as it was a horizontal stamp. 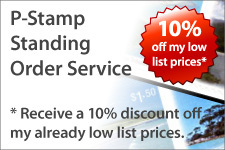 Every stamp in the sheet is new. 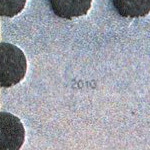 RA Printing printed the sheet and while each stamp is very close to the original, Australia Post has included a '2010' microdate in three designs. Reprint is a lighter shade, particularly on the Queen's face and background. On the original the bottom strip has a dark blue background, while reprint has blue background. 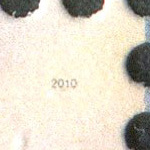 Reprint is a later shade, with the background at the base yellower than original. Text on original stamp is slightly bolder. 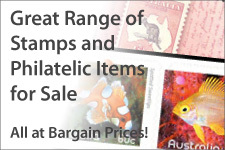 This is not the first time the 55c and $1.45 stamps have appeared in a miniature sheet this year, having appeared in the Canberra Stamp Show miniature sheet, which RA Printing also printed. There are minor differences between the two printings, particularly around the names of the pilots. On the London sheet the edges of the names are less distinct.